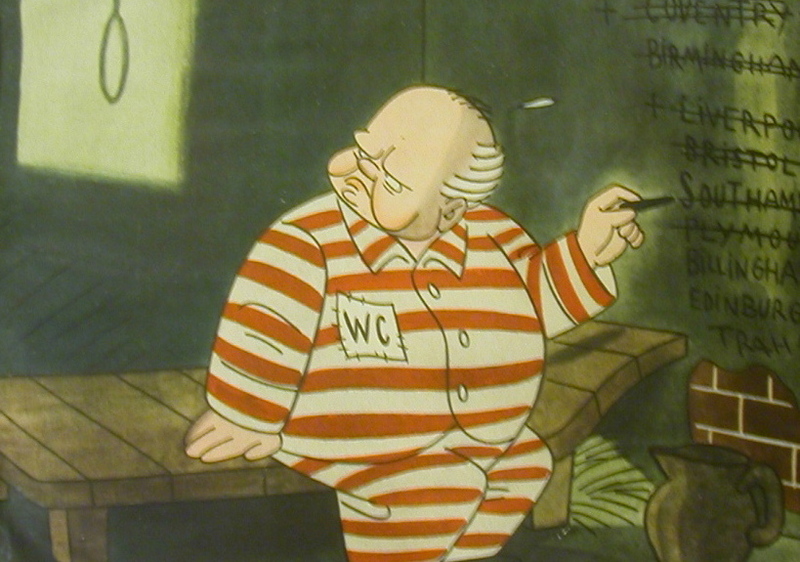 Lustige Blätter, Berlin, January 1941: similar sentiments. Assault count: Since I am los­ing track, I thought it would be con­ve­nient to cre­ate an index to smears of Win­ston Churchill fol­low­ing the film Dark­est Hour. Note the sim­i­lar­i­ty of top­ics. Many writ­ers feed off each oth­er, repeat­ing the same dis­proven argu­ments. 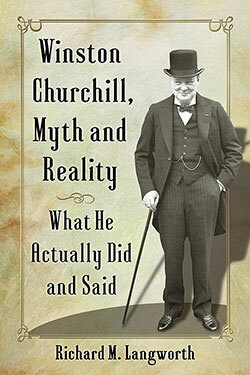 Nev­er do they check Churchill quotes or The Churchill Doc­u­ments —which prove them irre­triev­ably wrong. The order is most recent first. Assault of 29 March: The Ezine Scroll-in report­ed that Churchill’s poli­cies caused the drought that caused the Ben­gal Famine. (Not enough to be Prime Min­is­ter, he must also be a farmer, since he need­ed to know Irri­ga­tion.) This was a huge red her­ring. It was not drought but a cyclone that destroyed the rice crop plus the road and rail links. Oth­er fac­tors includ­ed Japan’s inva­sion of Bur­ma and the refusal of Indi­an mer­chants to release grains while prices were ris­ing. Soil sam­ples prove noth­ing. Refut­ed on Facebook. Assault of 10 Octo­ber: His­to­ri­an Andrew Roberts was attacked for, besides over­look­ing old chest­nuts, two new ones. Appar­ent­ly Churchill drove Gertrude Bell to sui­cide and deval­ued the pound. Some­how, how­ev­er, when he ran the trea­sury, the pound gained in val­ue. Response on this web­site. Assault of 19 March; David Olu­so­ga, “His­to­ri­an blames Churchill for war crimes in Africa and famine, BBC. (Ben­gal famine, treat­ment of Chi­na and India.) Response by Andrew Roberts in The Sun. Assault of 15 March: Adri­ja Roy­chowd­hury, “An unpop­u­lar racist,” Indi­an Express (Prais­ing Mus­soli­ni, pre­fer­ring Nazis to Com­mu­nists, Ben­gal famine, poi­son gas.) Response by Richard Lang­worth in the Com­ments sec­tion (lim­it­ed to 1000 char­ac­ters and no links). Assault of 10 March: Shashi Tha­roor, “Hol­ly­wood rewards a mass mur­der­er,” Wash­ing­ton Post. (Ben­gal famine, bomb­ing Irish pro­test­ers, poi­son gas, hat­ing Indi­ans.) Response by Soren Geiger, Hills­dale Col­lege Churchill Project, in The Amer­i­can Spec­ta­tor. Assault of 9 March: Shree Parad­kar, “Win­ston Churchill, the bar­bar­ic mon­ster,” Toron­to Star. (Ben­gal famine, Kenya, Greece, “Aryan stock” quote.) 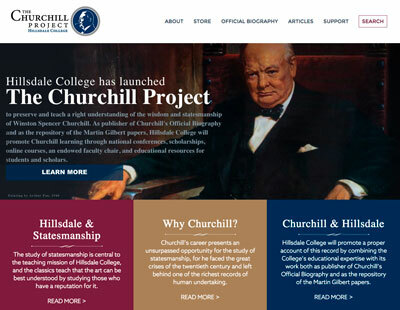 Response by Ter­ry Rear­don, Hills­dale Col­lege Churchill Project. Assault of 2 March: “…The Castlerosse Affair,” Jour­nal of Con­tem­po­rary His­to­ry. 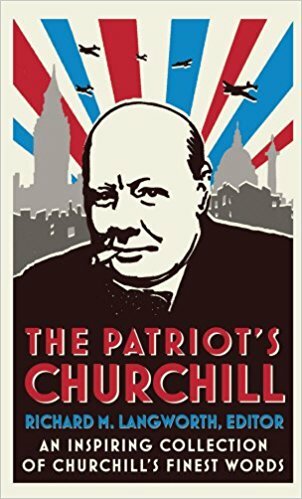 (Writ­ten ver­sion of Churchill’s sup­posed affair with Doris Castlerosse.) Response by Richard Lang­worth, Amer­i­can Spec­ta­tor. 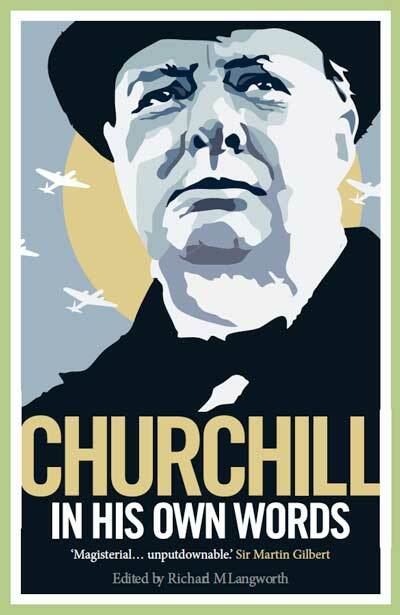 Assault of 25 Feb­ru­ary: “Churchill’s Secret Affair,” UK Chan­nel 4. 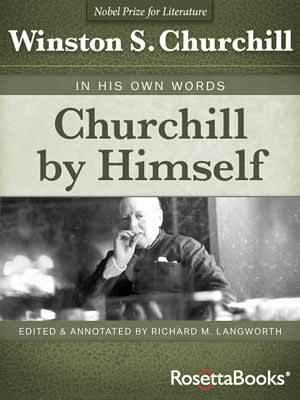 (Churchill cheat­ed on his wife in a four-year affair.) Response by Andrew Roberts, The Spec­ta­tor & Hills­dale Churchill Project. Assault of 23 Feb­ru­ary: Tom Black­well, “Some won­der if he was more war crim­i­nal…” Nation­al Post. (Ben­gal famine, though in this one case the author does quote a few defend­ers.). Response on this web­site. Assault of 23 Jan­u­ary: Louise Raw, “…Don’t for­get his prob­lem­at­ic past,” The Inde­pen­dent. (Kenya, Ben­gal Famine, Welsh strik­ers, hate for Indi­ans, Islam­o­pho­bia, etc.) Response on Facebook. Near­ly forty years ago an equal­ly great Churchill per­for­mance, Robert Hardy in The Wilder­ness Years, was received with equal acclaim by press and pub­lic. Most impor­tant­ly, there was no cho­rus of hate, no trumped-up charges, no hint that Churchill’s over­all record was in any­thing except pos­i­tive. Alas times have changed. “I don’t want [my views] dis­turbed by any bloody Indi­an”: Was it Churchill? I’m not sure what you are ask­ing. The famine was exac­er­bat­ed by three main things: the weath­er, the Japan­ese inva­sion of Bur­ma, and hoard­ing by local mer­chants. British pol­i­cy was to win a world war. The doc­u­ments are con­clu­sive that the British did all they could, in that con­text, to relieve the star­va­tion, and even­tu­al­ly did. 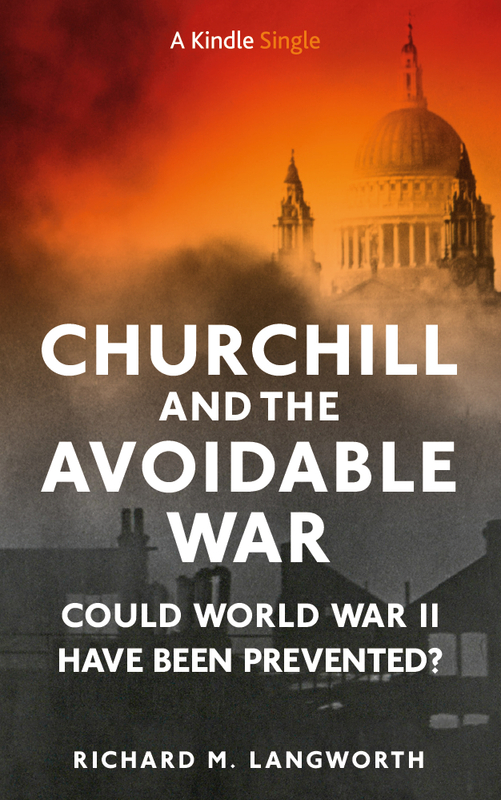 Of course Churchill (and the War Cab­i­net) were respon­si­ble. 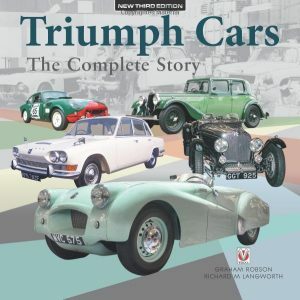 So was the Viceroy, Field Mar­shall Wavell. With­out them, the Ben­gal Famine would have been worse. Those doc­u­ments prove what: that the Ben­gal famine of 1942 was not exac­er­bat­ed by British pol­i­cy, or that Churchill was not respon­si­ble for the pol­i­cy, or that British pol­i­cy­mak­ers could not have known that their poli­cies were hav­ing this effect?